Dr. DeLeon and his team love to give patients beautiful smiles. Our Glen Ellyn cosmetic dental office offers treatments that boost your oral health and give you a flawless smile you can feel good about. With Dr. DeLeon’s help, our patients have a second chance at a whole new smile. • All-Ceramic Dental Crowns – Crowns, or caps, can be used to strengthen decayed teeth or can be utilized for cosmetic purposes, to make teeth look more even and aesthetically pleasing. Dr. DeLeon provides all-ceramic crowns, which look like natural dental enamel and match your existing teeth. • Bridgework – When you’re missing one tooth, or a small group of teeth, a permanent dental bridge closes the gap with a few custom dental crowns and a replacement tooth, called a pontic. A permanent dental bridge gives you a full and complete smile, which also supports better biting and chewing. • Composite Bonding – The process of composite bonding involves painting tooth-colored resin onto teeth, in order to improve their size and shape. Bonding can also strengthen teeth in the process. With modern materials, patients get strong, wear-resistant treatment and can expect 10-15 years of use. • Dental Implant Restoration – Implants are a great investment in your oral health when you have a missing tooth. Part of a dental implant is a crown, which may need restoration during its life. Our Glen Ellyn cosmetic dentist places new, all-zirconia crowns on implants to correct instances of wear and tear and help your smile look its best. • Full and Partial Dentures – Full and partial dentures replace lost teeth – whether that’s a few teeth, or an entire arch. Dentures provide patients with beautiful new smiles and greatly improve bite strength and confidence. • Teeth Whitening – Dr. DeLeon helps patients lift stains on teeth with Zoom! teeth whitening. Zoom! is an in-office teeth bleaching treatment that lightens teeth by several shades in only one dental appointment. We’re proud to support best outcomes for cosmetic care by using ceramic and zirconia dental crowns and bridges. Zirconia and ceramic make for incredibly strong, life-like, and tissue friendly restorations – there are no ugly black lines on gums; your new smile looks just as naturally beautiful as your own teeth. Even if you grind your teeth, zirconia/ceramic crowns can stand up to a great deal of pressure, which makes them great choices for TMJ patients. 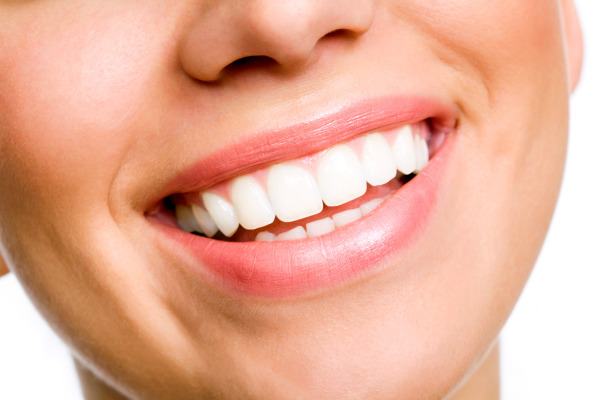 Our porcelain and zirconia crowns and bridges contain no metal and are mercury-free. For patients who prefer to pick from a variety of treatment materials, Dr. DeLeon offers a range to choose from, including metal-over-porcelain or even gold, depending on your bite health and needs. No matter what treatment you’re looking for, or restorative material you choose, our cosmetic dental patients get the chance at having a healthy oral environment and more beautiful teeth. Questions about cosmetic dentistry? Contact our office today. We look forward to hearing from you!